« Southwest By Midnight, Random Karma, & League Of Zeros! • Ambassador/Speaker: Roberto Clemente Jr.
All raffle, door, and auction dollars go directly to our project to build a water treatment facility in El Mirador, Dominican Republic which costs $20,000 to build and bring clean drinking water to this community for life. Hear firsthand from the players and celebs that have been there on why this cause is so important to all of us in the baseball community. Sponsors Include: Athletes Brand, Viktre, Tito’s Handmade Vodka and Red Bull. 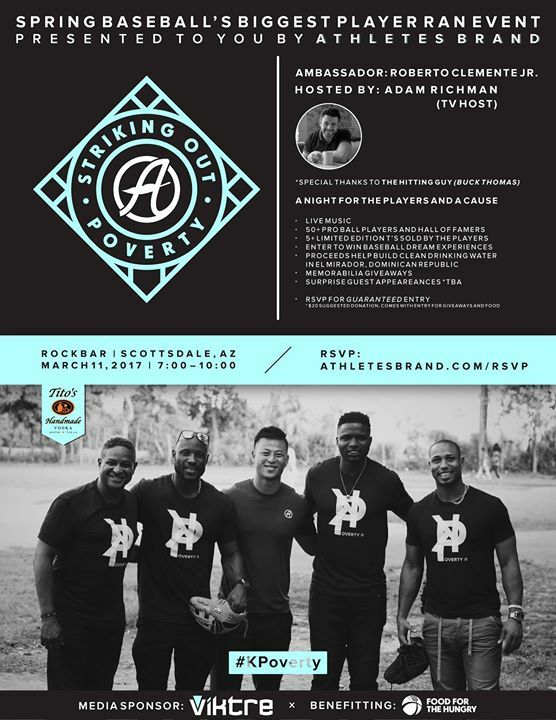 Join Athletes Brand at Cactus League Spring Training in Scottsdale, Arizona, for Striking Out Poverty. One night bringing baseball together to help end poverty in the Dominican Republic. This event will mark the official kickoff of Athletes Brand’s #KPoverty campaign with over 40 players from every MLB team involved. The goal this year is to raise a minimum of $100k to help bring El Mirador, Dominican Republic out of poverty. The goal this night however, will be to fund one major $20k project in El Mirador that is an absolute necessity and the community leaders biggest dream… a water treatment facility to give this deeply impoverished community of baseball fans, access to clean drinking water. Join us for live music, auction items, raffles, and more with your favorite players and celebrities for an amazing cause. Build community centers, libraries and schools to lift the vulnerable out of poverty through education. Provide deworming medication and healthcare that can save lives. Provide new water sources that will give vulnerable children access to clean water reducing growth stunting and water borne illnesses. Provide agriculture training that will help farmers produce better crops and produce more income for their families. Can’t attend but want to help? All Rights Reserved. 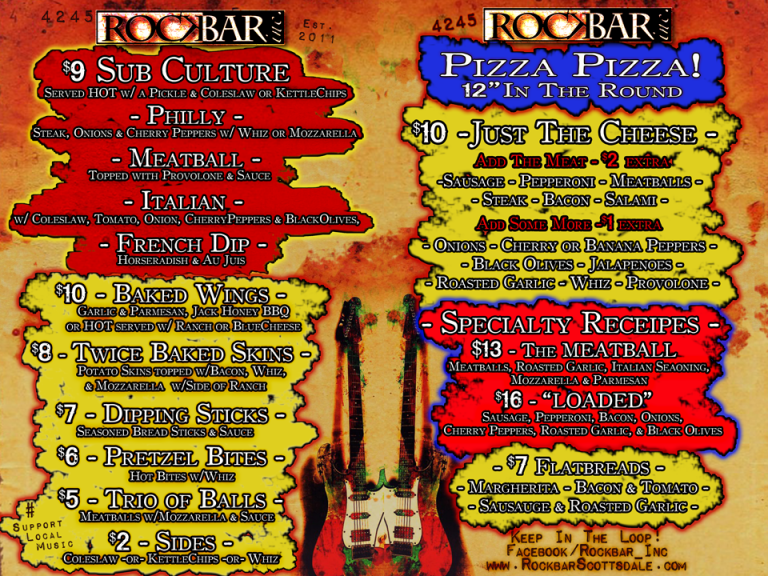 © Rockbar Inc. Scottsdale. Support Local Music.